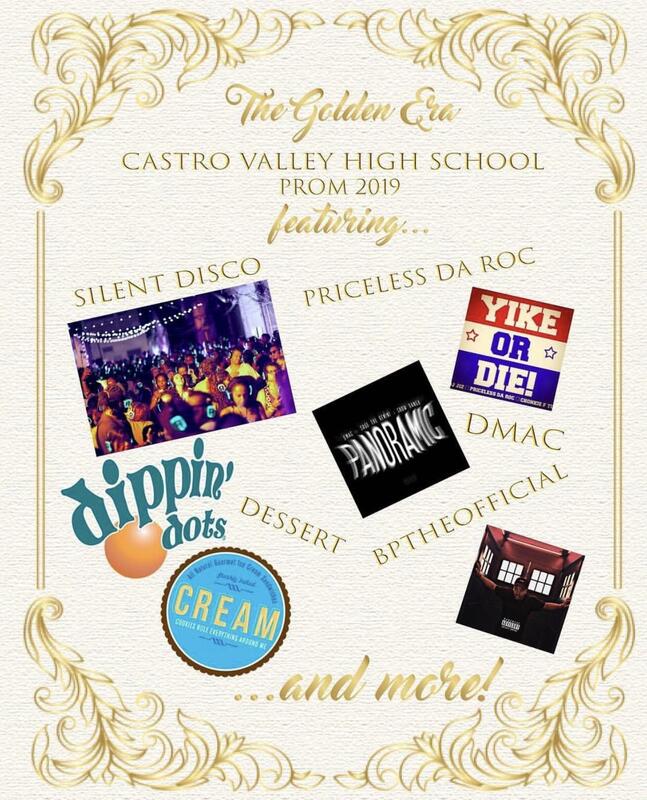 2019 CVHS PROM IS HERE! 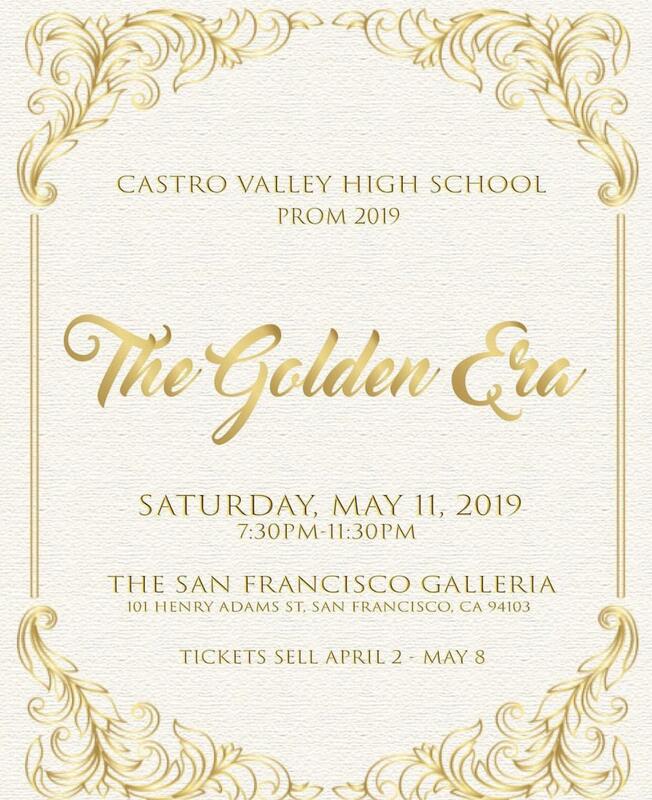 All the information you need for prom can be found right here! 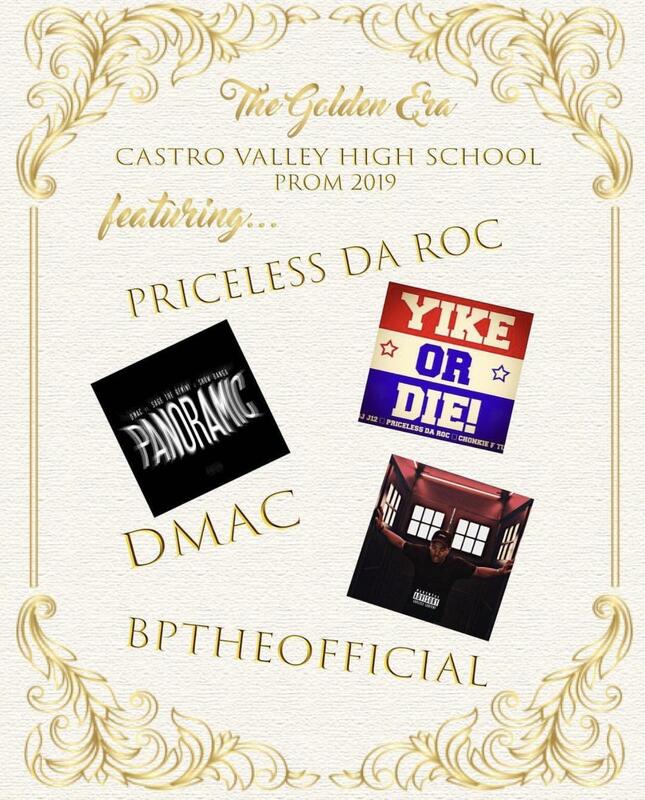 The 2019 Castro Valley High School Prom is fast approaching! 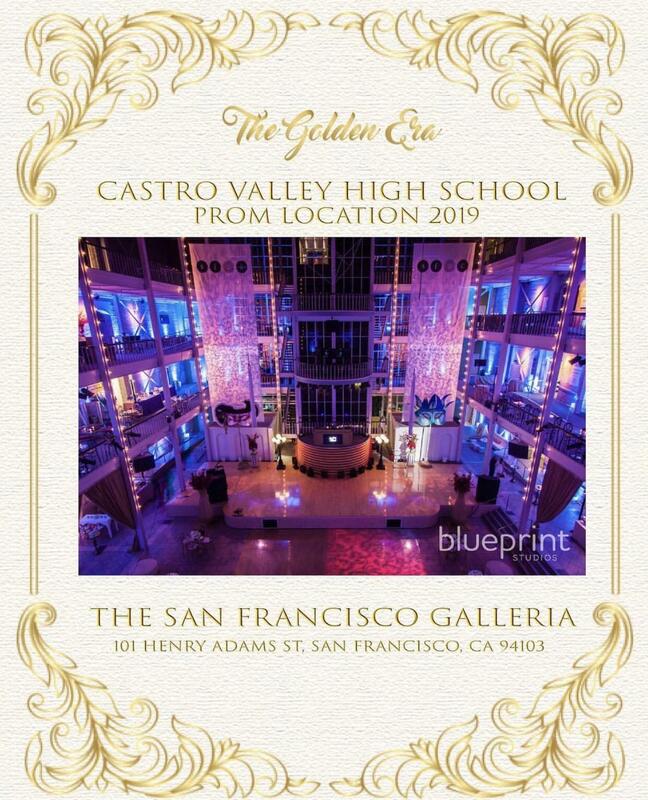 Prom will be held on May 11th from 7:30 -11:30 at the SF Galleria Design Center. To attend this event, all Juniors and Seniors must fill out a behavior contract which can be found here, or in the Leadership room, 607. This contract works for both single and couple tickets. Studio One Professional Photography will be available at the CVHS Cafeteria from 3:00 - 5:00. 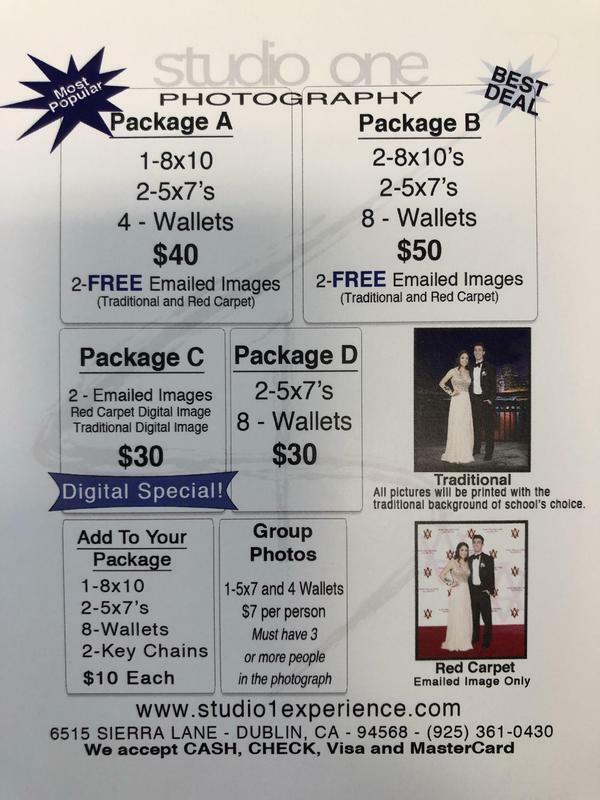 The attached photo has the Studio One Photography pricing. Tickets go on sale April 2nd, and prices go up every week. 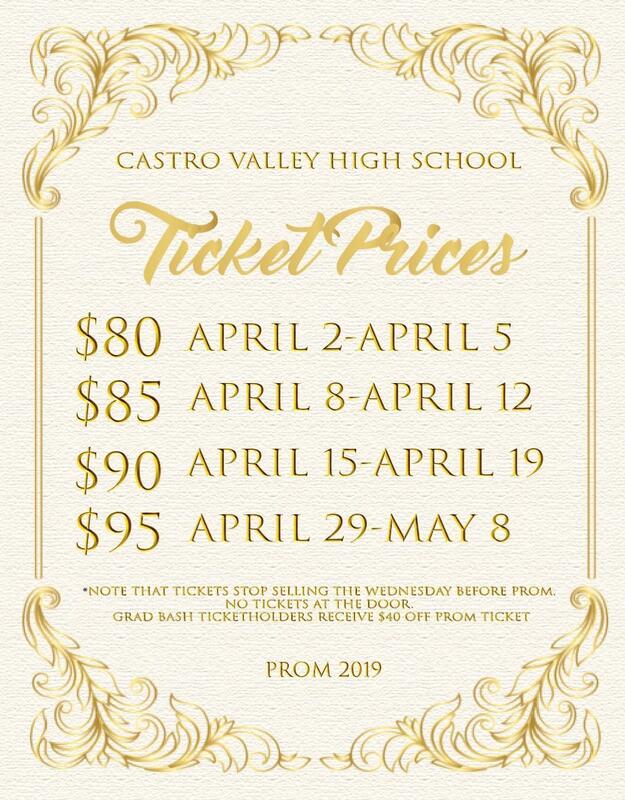 Save yourself money and buy your tickets early! Look through the attached photos for information on some of the VIP entertainment and desserts. If you have any questions about prom, see Mr. Kentris in room 607.